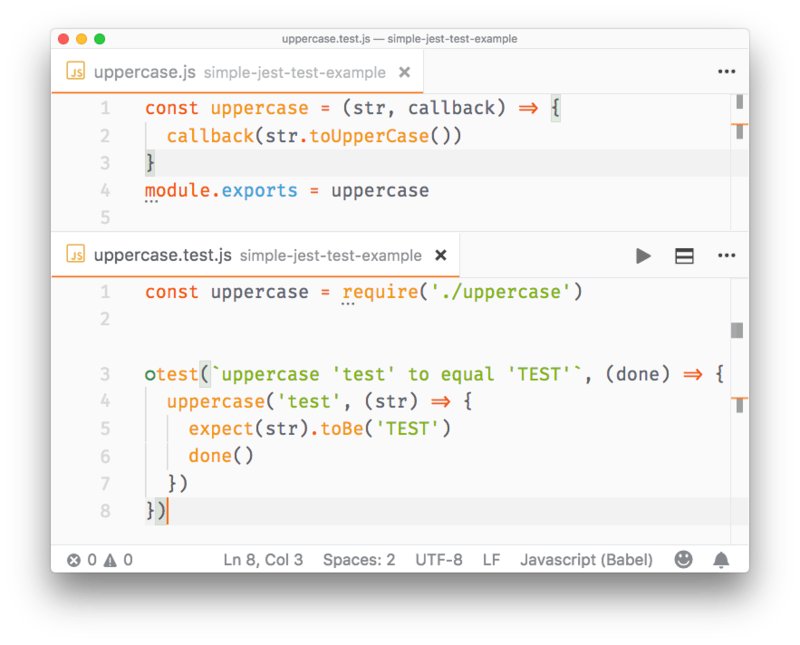 In my opinion the biggest feature of Jest is it’s an out of the box solution that works without having to interact with other testing libraries to perform its job. Jest is automatically installed in create-react-app, so if you use that, you don’t need to install Jest. 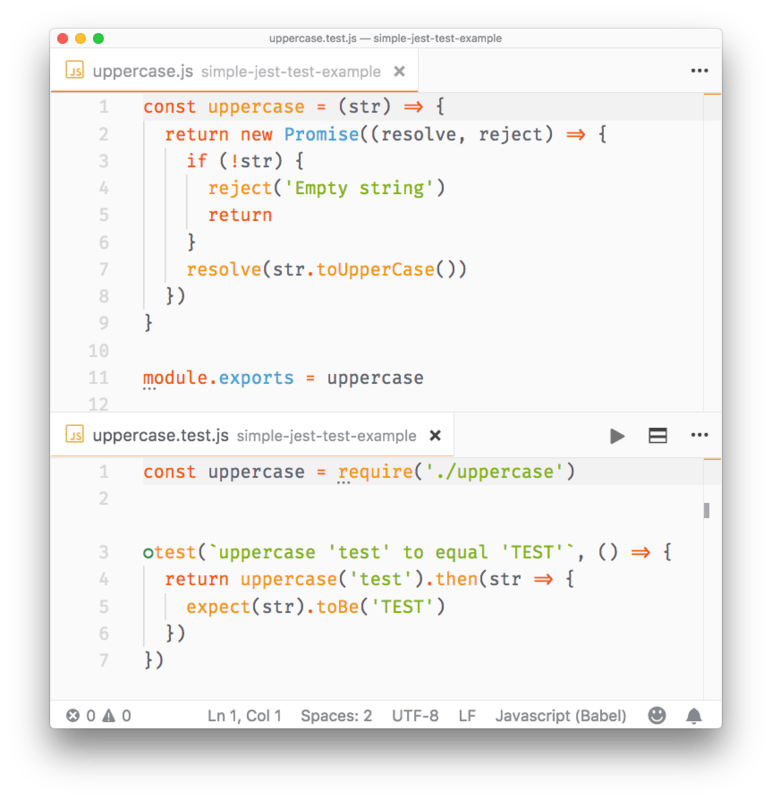 notice how we instruct both to put Jest in the devDependencies part of the package.json file, so that it will only be installed in the development environment and not in production. 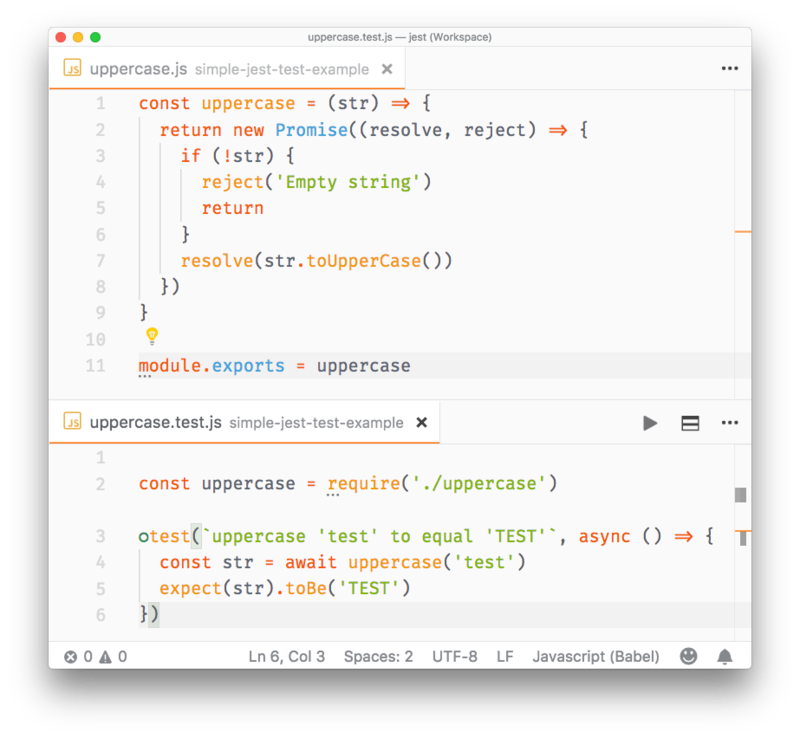 so that tests can be run using yarn test or npm run test. 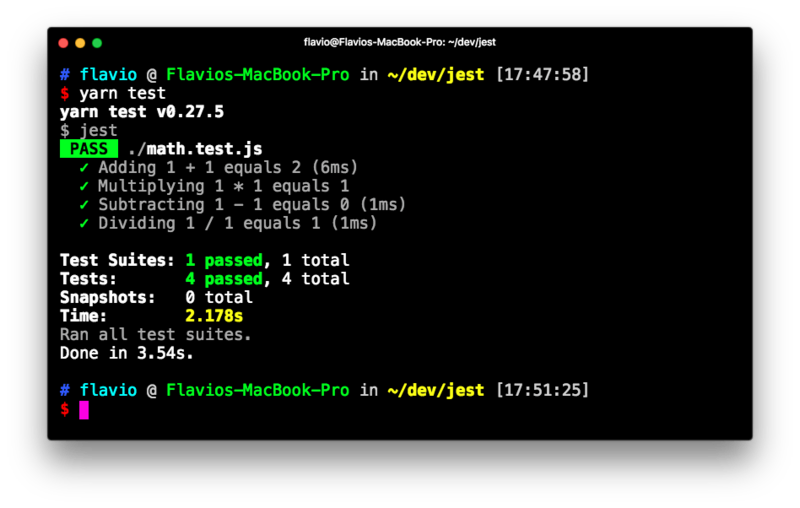 and run all your tests using the jest command line tool. and run your tests by executing yarn test in your shell. A matcher is a method that lets you test values. Before running your tests you will want to perform some initialization. Mocking is useful when you want to avoid side effects (e.g. writing to a database) or you want to skip slow portions of code (like network access), and also avoids implications with running your tests multiple times (e.g. imagine a function that sends an email or calls a rate-limited API). Even more important, if you are writing a Unit Test, you should test the functionality of a function in isolation, not with all its baggage of things it touches. 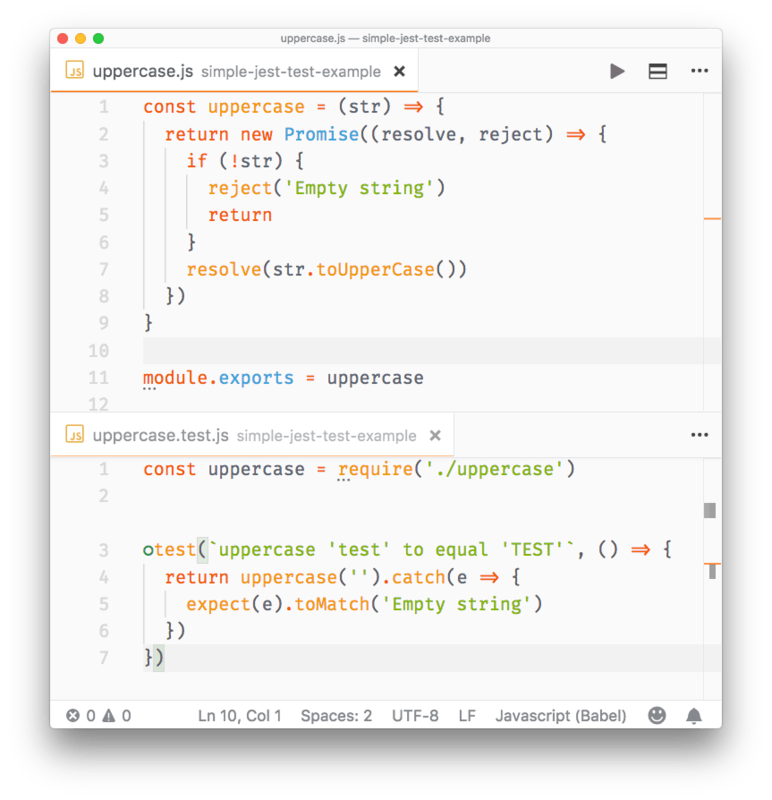 When you import a package, you can tell Jest to “spy” on the execution of a particular function, using spyOn(), without affecting how that method works. You can also use jest.fn().mockReturnValue('test') to create a simple mock that does nothing except returning a value. You can find pre-made mocks for popular libraries. For example this package https://github.com/jefflau/jest-fetch-mock allows you to mock fetch() calls, and provide sample return values without interacting with the actual server in your tests. 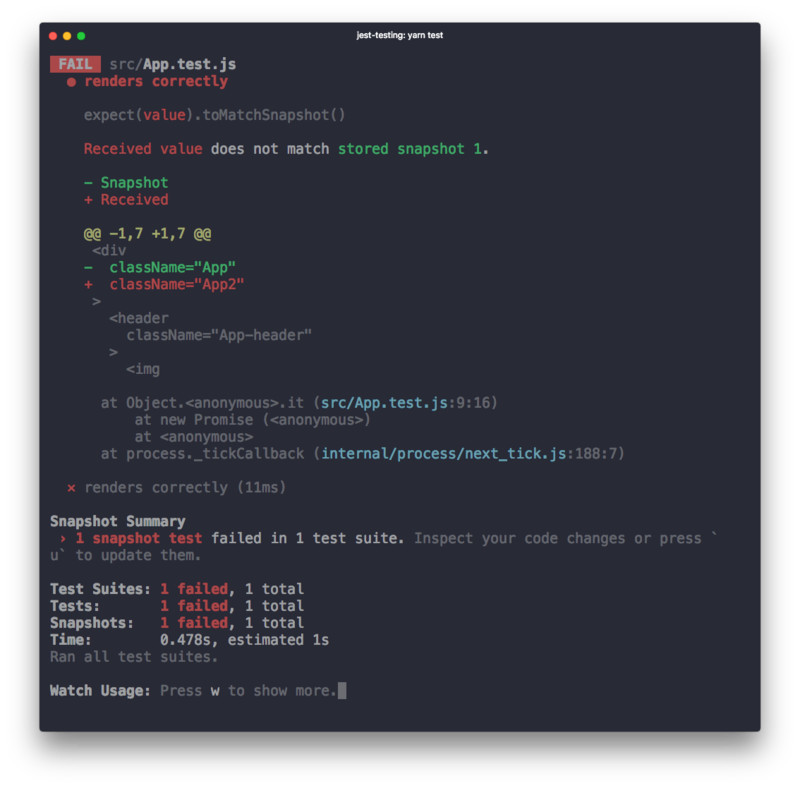 Snapshot testing is a pretty cool feature offered by Jest. 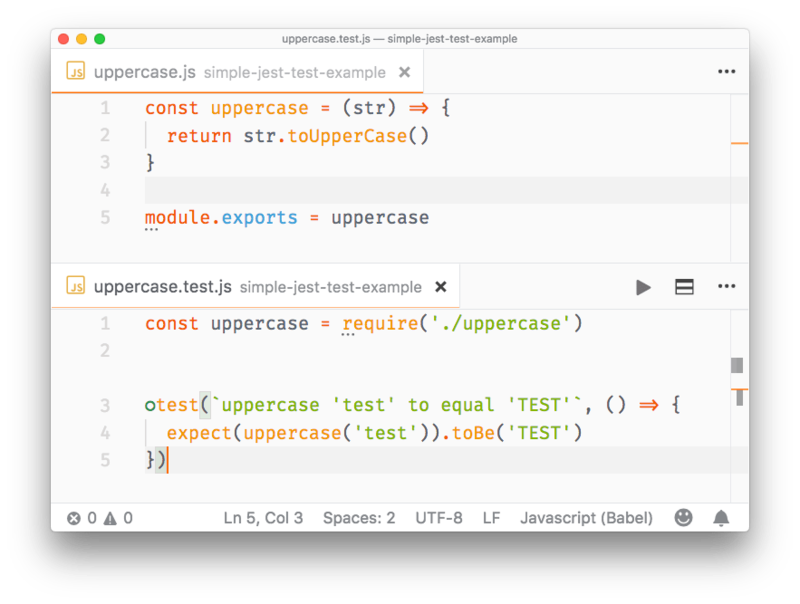 It can memorize how your UI components are rendered, and compare it to the current test, raising an error if there’s a mismatch. As you see it’s the code that the App component renders, nothing more. › Press u to update failing snapshots. If your change is intended, pressing u will update the failing snapshots, and make the test pass. 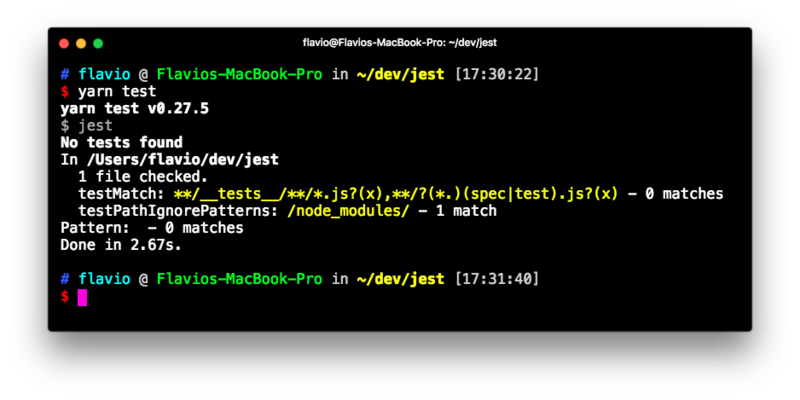 You can also update the snapshot by running jest -u (or jest --updateSnapshot) outside of watch mode.